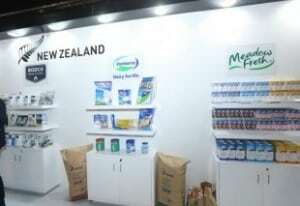 The New Zealand Islamic Development Trust (NZIDT) has been officially unveiled as being accredited by the UAE as a halal certifying body at Gulfood today. Smith said New Zealand holds the halal sector to high value, and he hopes that the scheme which has been developed by the standardisation organisation will “serve as a template for implementation by all GCC states”. Essentially, this means that NZIDT will be able to certify halal products in New Zealand, with the authority granted by the UAE. The GCC Accreditation Centre has also accredited Halal Food and Feed Inspection Authority (HFFIA) in The Netherlands and Rax for Quality Certification Services in the UAE for international Halal certification.